/ins. 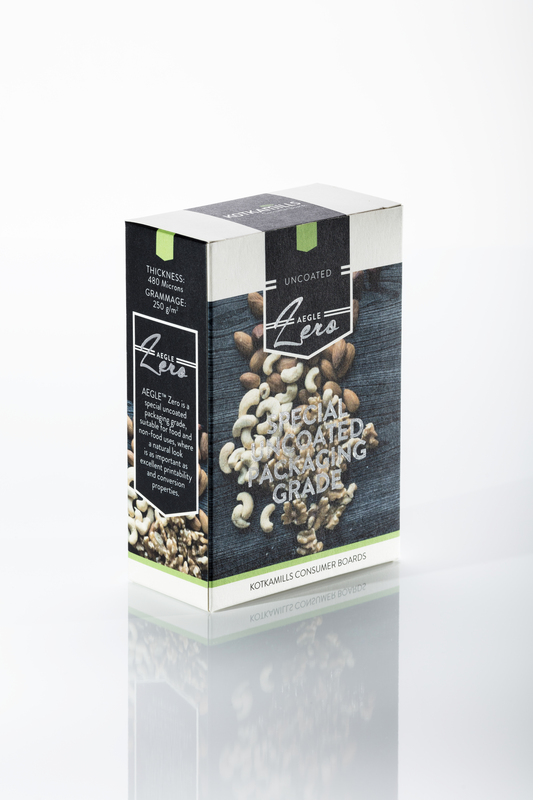 AEGLE Zero, a new uncoated folding boxboard with an uncoated reverse, has been added to the range of packaging materials offered by Kotkamills from their BM2 cartonboard machine in Kotka, Finland. Kotkamills is a responsible partner that delivers renewable products and performance to its customers' processes via product innovations created from wood, a renewable raw material. The key brands of the company include Absorbex® and Imprex®, both innovative laminating paper products for the laminate, plywood and construction industries. Moreover, Kotkamills offers ecological, technically sound and visually attractive wood products for demanding joinery and construction. In summer 2016, Kotkamills started up a new board machine producing AEGLE(TM) Folding Boxboard and ISLA(TM) Food Service Boards, including the capability to add barriers on-machine. All Consumer Boards material solutions are fully recyclable and repulpable.